The latest in Ozonic’s Scent eliminator, HR-200, safely utilizes small concentrations of ozone to eliminate human related odors downwind. Offers two output modes for hunters. Ground blind mode achieves nearly 100% odor removal. 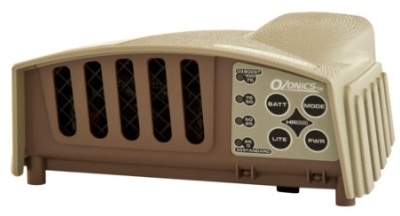 High-powered O3 Ozone boost mode provides 50% more output for superior tree stand hunting.